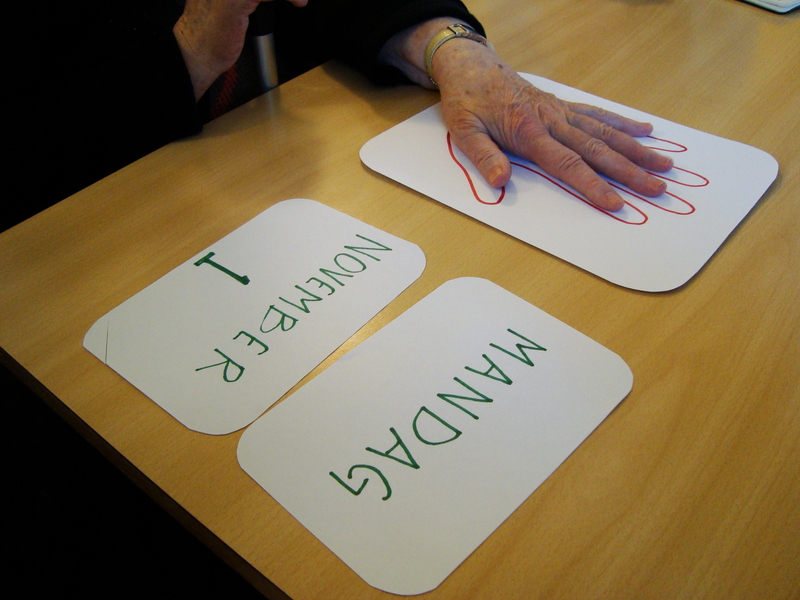 At the end of Tuesday this week we had come up with ten ideas that we believed would benefit the experience of the residents or staff within an elderly home. 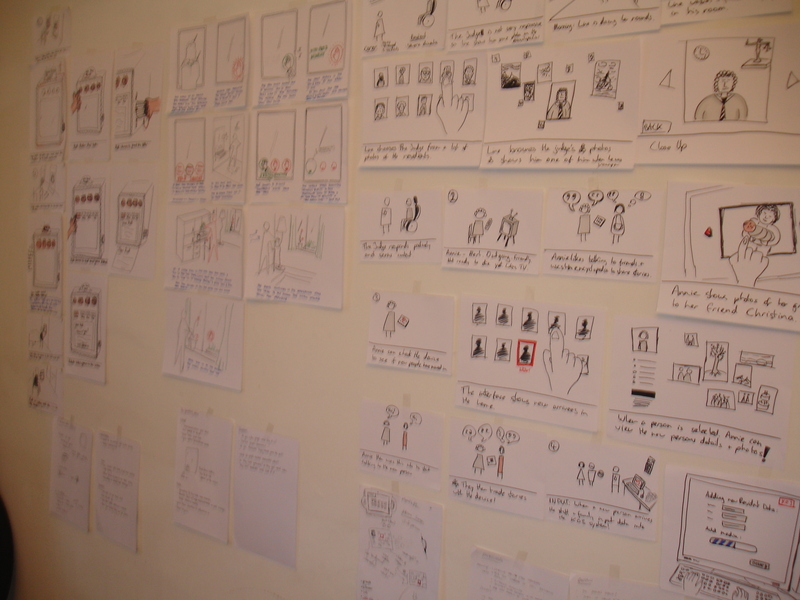 Our ideas were based on the insights we had gathered the week before in a number of homes Across Copenhagen. 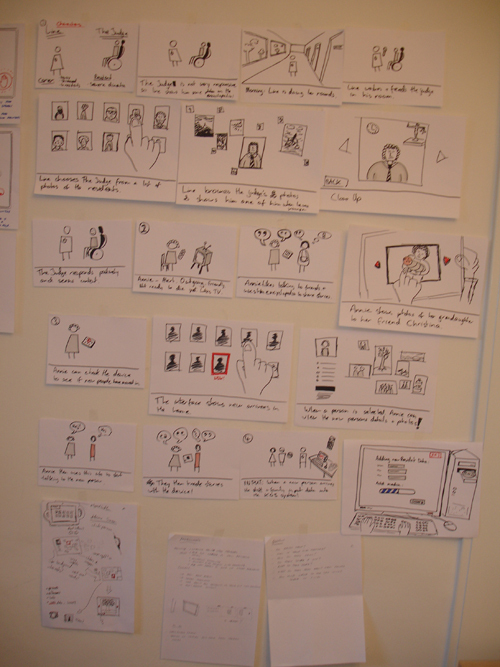 To progress with the project our next step was to cut down our ideas so we could map the ideas out in user scenarios and test and gain feedback from the elderly. It was an extremely hard task but we managed to decided on 3 ideas to take further. Our decisions were made by taking the ideas that we felt had the strongest value to the user and would provide a beautiful experience, that could then be applied to a familiar context for them. Idea 1: The grounding device is predominantly for the elderly that have memory loss or dementia, it provides the user with a grounding by telling them the day and date as well as happy memories and events from the past and milestone events in the future. This will allow the elderly to be nostalgic, and help with loneliness and memory loss. Idea 2: A device that allows the friends and family of the elderly to contact them easily through SMS messages and email. The elderly receives the ‘mail’ every morning from a device that prints their mail so it is in a familiar context to them. This will hopefully create less isolation from the family and make the elderly feel more involved in their lives. It allows friends and family to use quick methods of communication that they are used to using without imposing it on the elderly person. Idea 3: A digital encyclopedia specific to an elderly home. 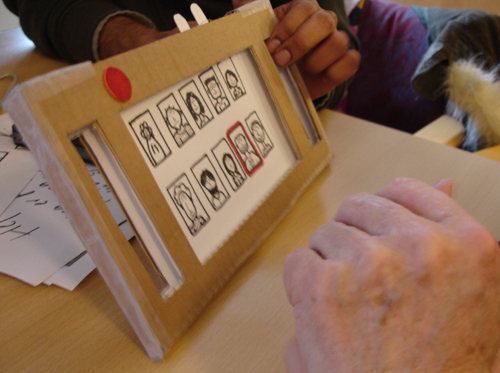 The device would be used as a tool by the carers to show residents photo’s to help jog memories, connect other patients together and new residents could use it to see if there are new people in the home. 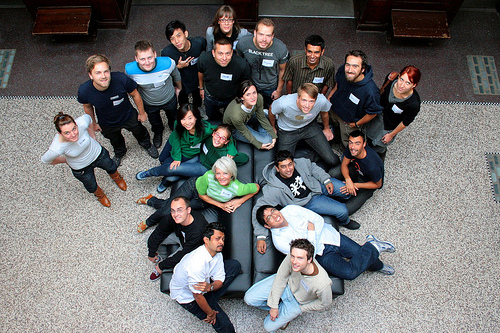 We hoped that would act as a bridging tool for social interaction and foster community spirit! 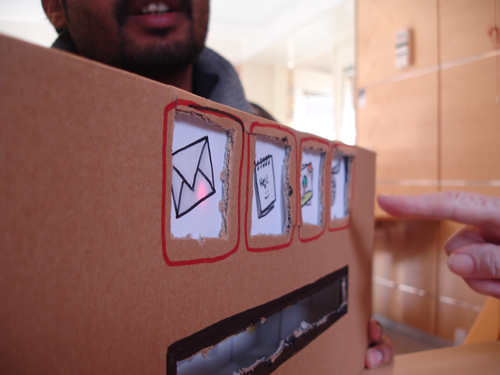 Above are the paper prototypes we built for our initial user testing, these were used on Friday to get user feedback. We discussed and demonstrated the ideas through ‘scenario walk throughs’ and let the staff and residents play with the prototypes, it was great talking to them as it sparked a little co-creation too with them providing us with some great ideas! All in all a great morning! 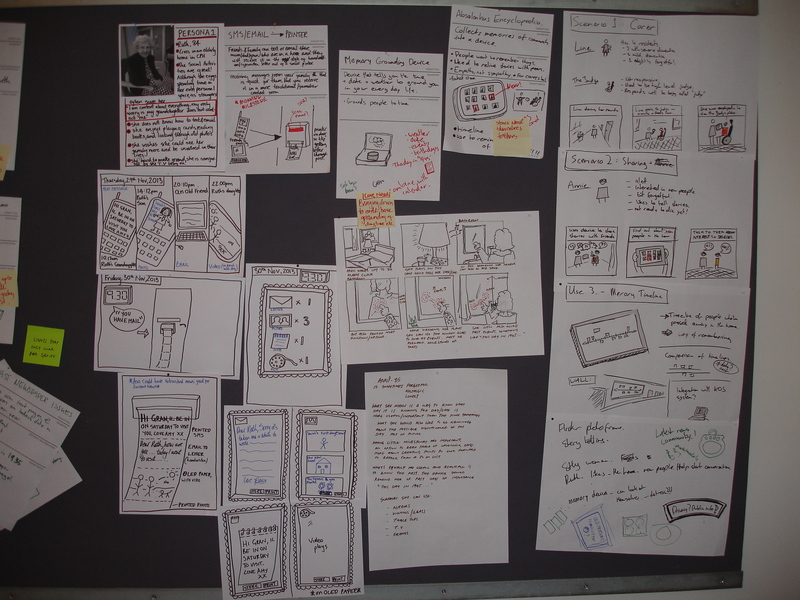 I’l post more on the user testing when it is all collated and presented! This morning when i was cycling to the design school i couldn’t help feeling like i was 5 again and it was my first day at school…..with butterflies in my tummy! but as soon as i arrived there was an overwhelming rush of energy and excited between everyone…. And now all I can say is WOW! What a fantastic first day, I am completely blown away!I really do believe that a brilliant Ma program can be co-created from this diverse group of students and exceptional faculty!